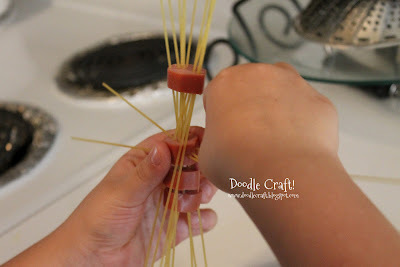 Doodlecraft: Hot Dog Spaghetti! Creepy Halloween Food! Hot Dog Spaghetti! 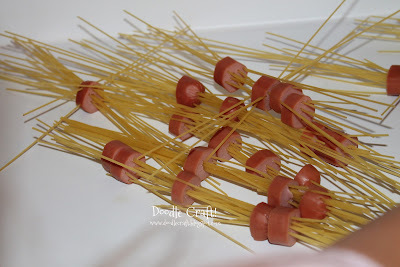 Creepy Halloween Food! 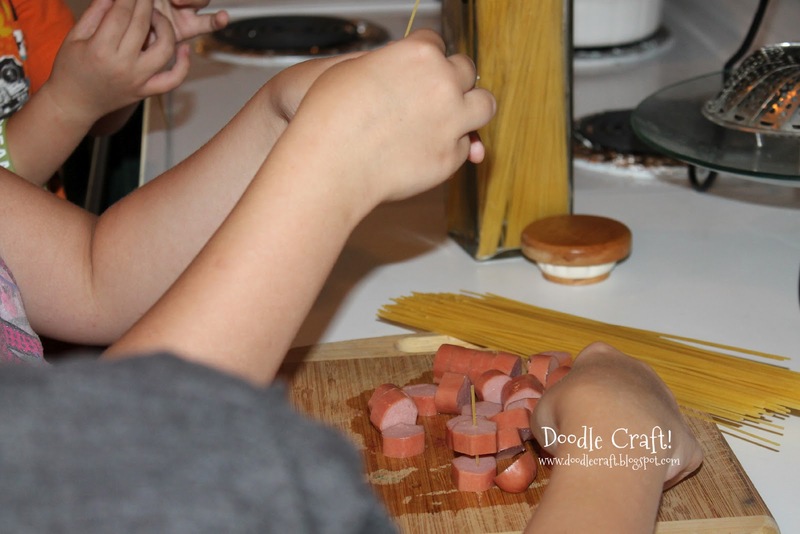 Have your kids make a spooky Halloween lunch! 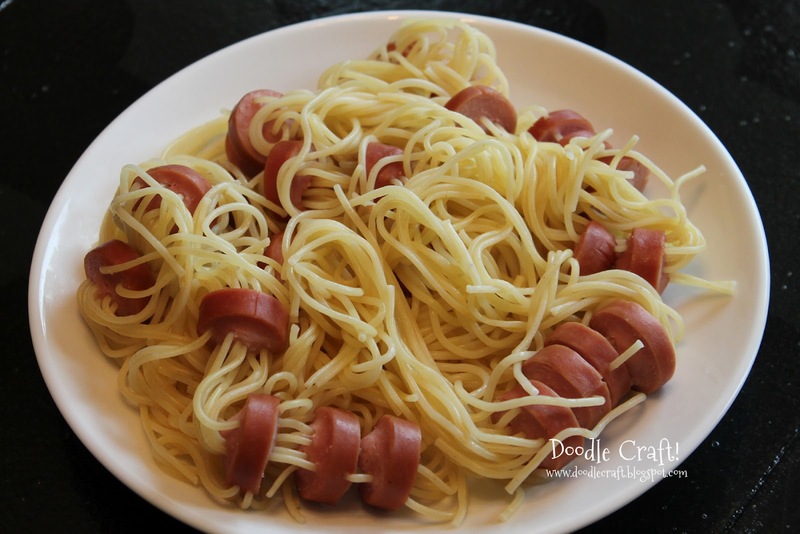 Take uncooked spaghetti noodles and sliced hot dogs. 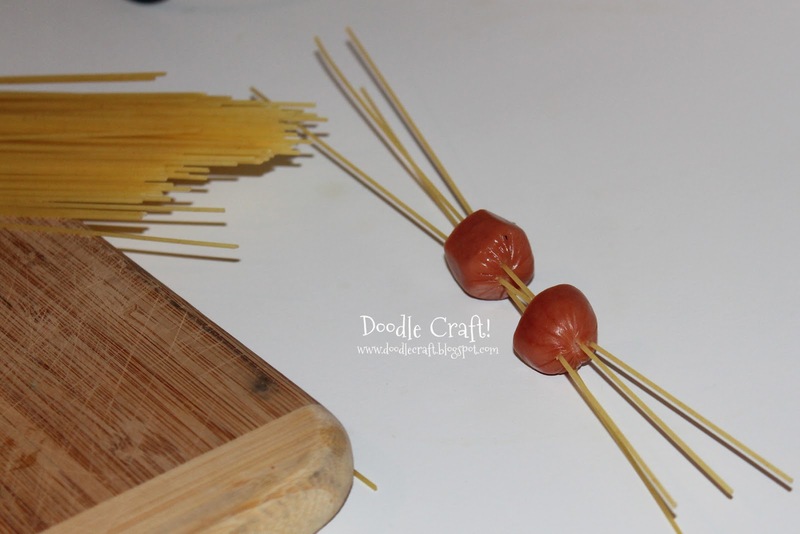 Skewer those hot dogs with multiple noodles! 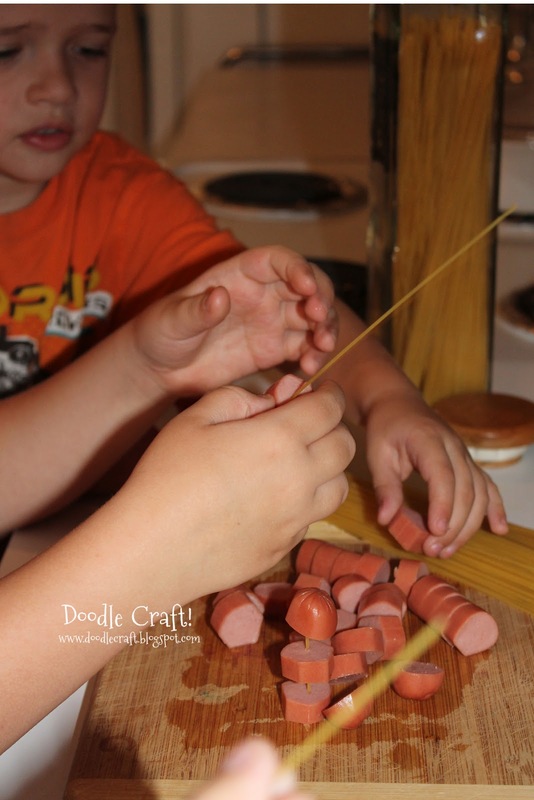 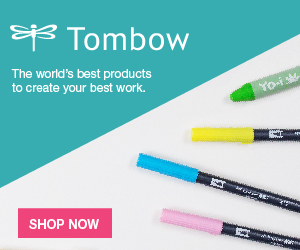 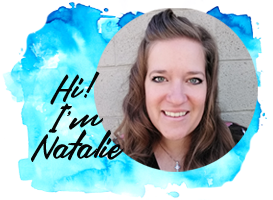 They will have so much fun making hot dog noodle kabobs! 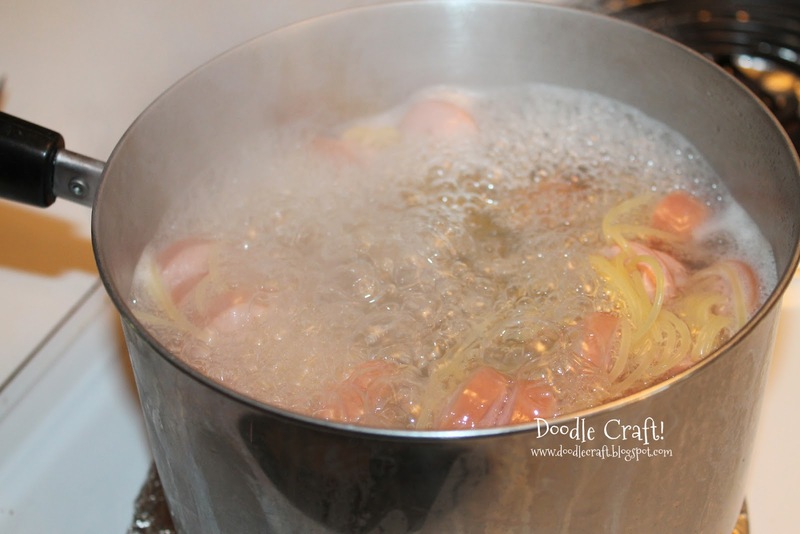 Boil them according to your pasta directions. We used Angel Hair Pasta, so it took about 7 minutes. Looks creepy with the limp noodles bursting out of the hot dogs! 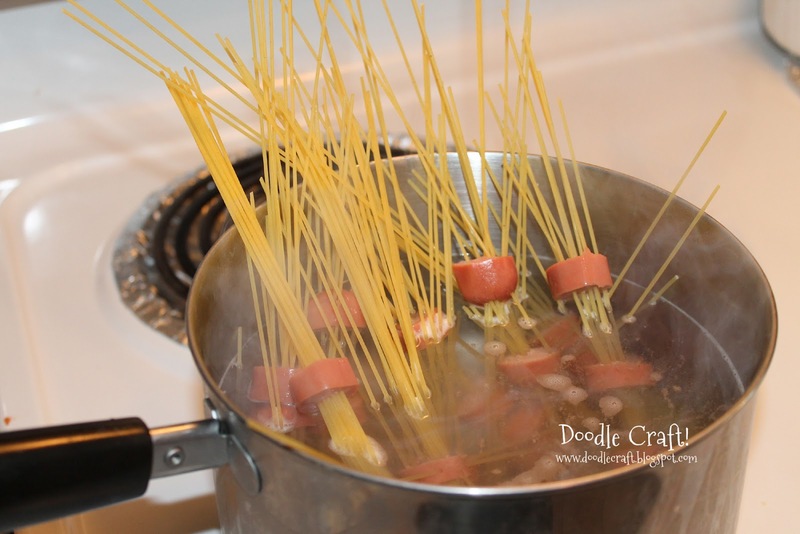 We topped it with some spaghetti sauce! No leftovers!